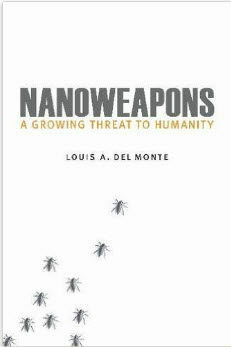 Do you want to familiarize yourself with a topical and controversial subject, namely, the new arms race for autonomous weapons? Consider joining me at my January 26, 2019 (Saturday), book signing event at Barnes & Noble in the Ridgehaven Mall in Minnetonka starting at 2:00 pm. 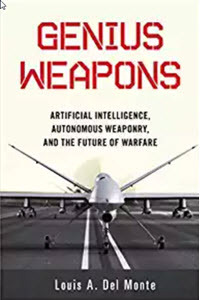 I will be discussing my recently released new book, Genius Weapons: Artificial Intelligence, Autonomous Weaponry, and the Future of Warfare (Prometheus, November 2018). I will be happy to address any questions on the subject. If you already have the book, please bring it with you and I will inscribe it. For more information on the event click https://stores.barnesandnoble.com/event/9780061991833-0. 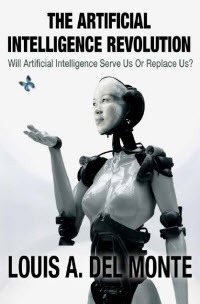 To browse the book click https://amzn.to/2RPPs9G. Feel free to contact me directly for interviews 952-261-4532 or ldelmonte@delmonteagency.com.